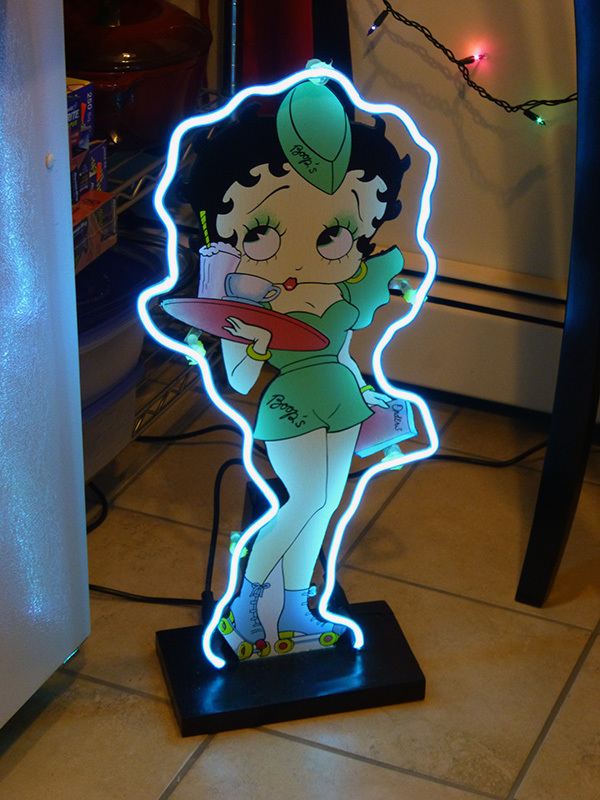 The tube on my Betty Boop standup cracked at the base the other day, so I found a neon shop online that’s closer than the last one I used in Maine and got a reasonable quote for repair. There was no address on the web site, just “North Shore”, but I got directions from the guy and it turns out he’s not even five miles away from J.T. Farnham’s in Essex, and I just found that Farnham’s has extended their season through December this year instead of November. So it’s fried clams for lunch on Sunday and prolly a quart of seafood chowder to bring home. Maybe a lobster roll, too, if I’m feeling a bit peckish. Must remember to bring cash. Can’t wait. Ohh, nice! Will have to check that restaurant out next spring. Husband’s finally got a new job that gives him weekends off – a rarity for a chef – and we’ll start our gourmand expeditions by heading south. Definitely put that on the bucket list for 2018. There’s 100% chance you’ll like their fried clams – the corn flour-based batter melds to the critters in a seamless fashion. There’s a place local to my office that gets its clams from Ipswich Shellfish Co., a good place to get them from, but there’s something bland about their fried clams. 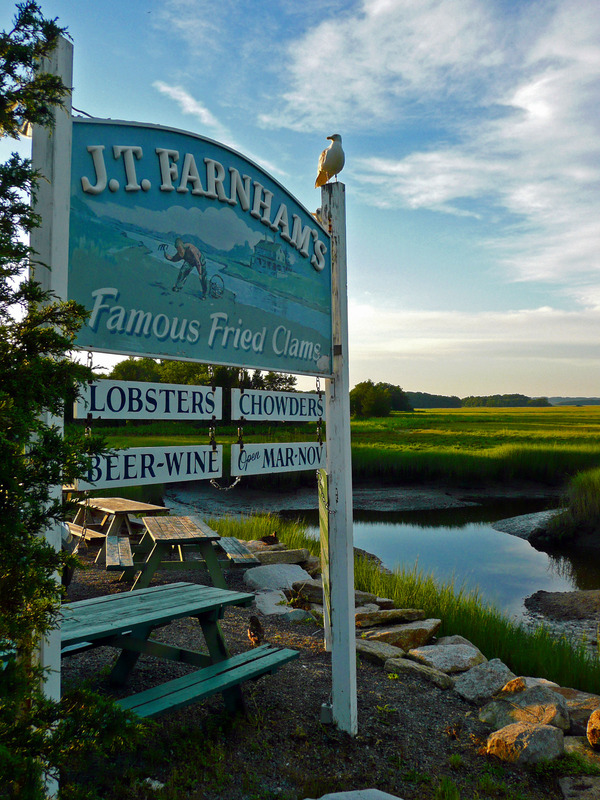 Farnham’s have more of a bold taste – in a good way. To avoid a surprise followed closely by ATM fee resentment, make a mental note that they’re cash only. I believe market price on a clam plate was around US$28 last time I was there. For that, you get maybe fifteen or sixteen clams along with fries and onion rings.